"To protect and serve yourself." 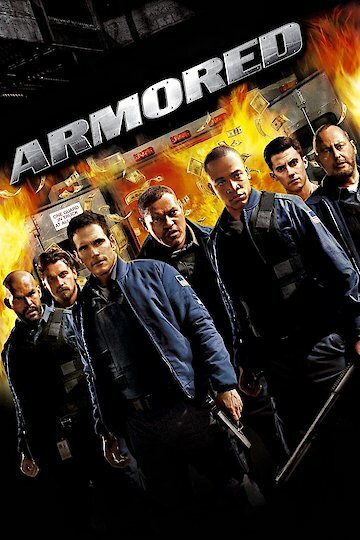 'Armored' is a 2009 crime thriller that tells the story of war veteran Ty Hackett. After the death of his father, Hackett is forced to raise his younger brother by himself. This presents a great financial burden on Hackett, but fortunately, he is able to get a job working as a security guard. At his new job, Ty works with an old friend, Mike Cochrane. Through Mike's connections, the two men become involved in a heist that involves stealing millions of dollars from the government. Though Ty is reluctant to participate in the crime, his responsibility to support his brother overrides his reluctance. If he cannot make ends meet, his brother will be taken away from him and put in a foster home. Ty's friends assure him that the plan they have devised will follow through and that none of them will be caught or hurt. Are Ty's friends right, or will their plan move Ty farther away from keeping custody of his younger brother? Ty is willing to risk anything for the sake of his brother, even his own life. Armored is currently available to watch and stream, buy on demand at Amazon, Vudu, Google Play, iTunes, YouTube VOD online.